Drill the ‘hole’ day through! For machinists and tradesmen who are fed up of shoddy machinery spares limiting productivity and impairing work quality, Xpert now offer fast-cutting, high-speed steel quality drill bits that can keep up with even the most demanding drilling needs but won’t break the bank. Made to last from a single, snap-resistant piece of solid steel and Titanium Nitride (TiN) coated to increase durability, while reducing friction and heat build-up, these professional-quality HSS drill bits can easily speed a path through a range of tough materials including steel, iron, copper, nickel, zinc, sheet metal, aluminium and uPVu. The 135° drill tip gives efficient cutting from the first rotation, while helping to reduce drill walking and ensure the holes end up exactly in the right position. Xpert HSS drill bits are available in a range of diameters from 2 to 10mm, as well as standard and longer lengths up to 184mm, ideal for making deeper holes or accessing those hard-to-reach drilling projects. These new drill bits are distributed exclusively by leading fenestration hardware provider, Window Ware, and sold through trade counters and retailers across the country. 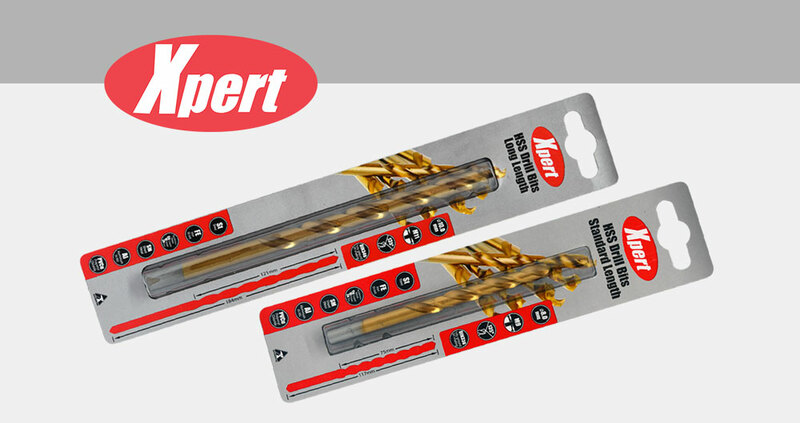 Click here to find your nearest Xpert stockist or email sales@xperttools.co.uk if you’re interested in selling Xpert products. Toolbox essentials that really measure up! A guaranteed hit with glaziers!